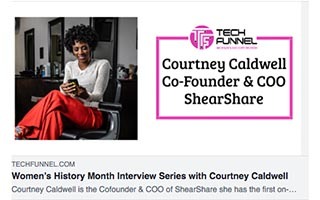 Courtney Caldwell is the Cofounder & COO of beauty-tech startup, ShearShare, the first on-demand salon and barbershop space rental app. 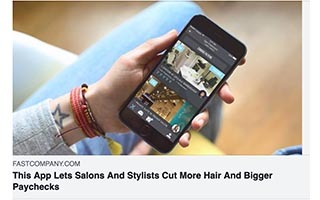 With ShearShare, licensed stylists can rent workspace by the day, while salon and barbershop owners make money on unused space. 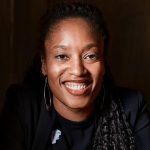 Prior to cofounding ShearShare — Google Demo Day winner 2018, Tech. 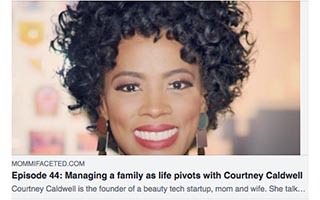 Co’s Startup of the Year, and a YC Fellowship and 500 Startups alum — Courtney managed an award-winning salon with her husband and cofounder, which was the genesis behind ShearShare. 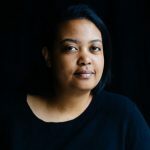 Before that, Courtney spent two decades building winning teams in tech marketing and ran a boutique consulting firm where she fast-tracked international sales and marketing success for brands such as Zendesk, Zenefits, and Qualtrics. 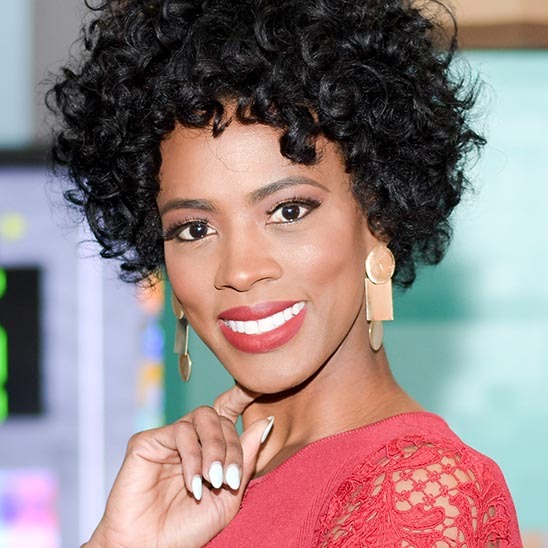 Courtney is the 33rd African-American female to raise $1 million for her tech startup and recently received an honorary doctorate degree from Miracle University. 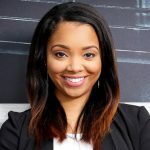 She was named the Ada Lovelace 2019 Female Tech Founder of the Year, a 2018 Dallas Business Journal Women in Technology, the 2017 L’Oreal Women in Digital NEXT Generation Award winner, and a Direct Marketing News “40 Under 40”. 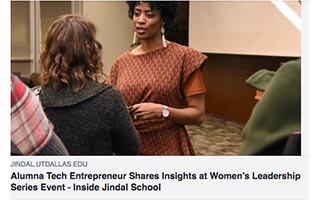 She serves on the Advisory Board for Ogle Cosmetology School, the Alumni Board for Southern Methodist University, and is a member of the UT-Dallas Entrepreneurship Council. 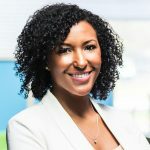 Courtney Caldwell can speak on a variety of topics ranging from women in leadership, business, startups, bootstrapping and investments, building and leading remote teams, digital marketing, the B2B demand generation, faith and spirituality, and being married in tech. 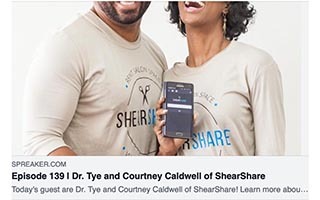 Courtney Caldwell and Dr. Tye Caldwell, husband and cofounder of ShearShare, are available for joint appearances. Hey @mcuban I’m doing this collab with Microsoft & heard you did something similar b4. Talking #futureofwork & tech tools to take businesses to the next level. Join us in store on May 2nd. I remember when @courtbuddyinc was two people and a desk, so to see them raise Series A & grow into their own office space is amazing. They’re still repping the Miami culture and bringing some South Florida flavor to SF. 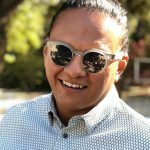 + they’re currently hiring 5 more engineers - so reach out! 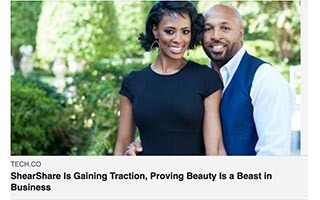 Great entrepreneurs come from everywhere and can look like anyone.